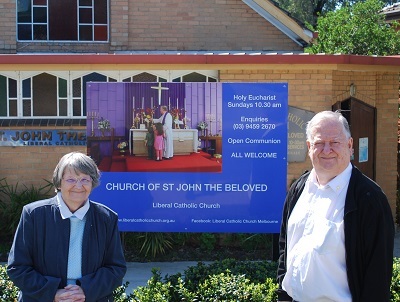 An RSS feed (or news feed) is a means by which you can stay informed about what's going on at Liberal Catholic Church of Australia without having to regularly visit the website. A new parish sign was installed outside the church in September 2017. 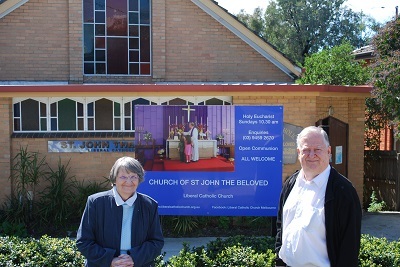 Libby Shade (Secretary) and Fr Fred Shade (Vicar) are pictured here, admiring the results.